Ada pertanyaan untuk Sascha’s Resort Oslob? Bagi para wisatawan yang ingin menjelajahi kota Cebu, Sascha’s Resort Oslob adalah pilihan yang sempurna. Terletak hanya 118.3 km dari kehebohan pusat kota, hotel bintang 2 ini memiliki lokasi yang bagus dan menyediakan akses ke obyek wisata terbesar di kota ini. Dengan lokasinya yang strategis, hotel ini menawarkan akses mudah ke destinasi yang wajib dikunjungi di kota ini. Fasilitas dan pelayanan yang ditawarkan oleh Sascha’s Resort Oslob menjaminkan pengalaman menginap yang menyenangkan bagi para tamu. Ada beberapa fasilitas hotel ini seperti WiFi gratis di semua kamar, layanan kebersihan harian, check-in/check-out pribadi, check-in/check-out cepat, penyimpanan barang. Suasana Sascha’s Resort Oslob tercermin di setiap kamarnya. televisi layar datar, akses internet - WiFi, akses internet WiFi (gratis), kamar bebas asap rokok, AC hanyalah beberapa dari fasilitas yang dapat Anda nikmati. 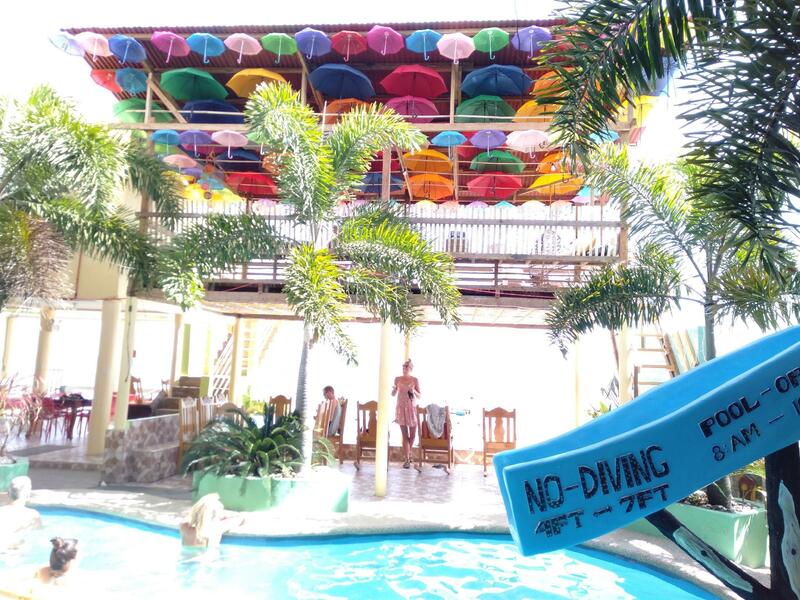 Fasilitas hiburan hotel ini seperti snorkeling, kolam renang luar ruangan, menyelam, memancing, pijat dirancang untuk bersantai. Apapun tujuan kunjungan Anda, Sascha’s Resort Oslob adalah pilihan istimewa untuk menginap di Cebu. My partner and I unfortunately spent 4 nights is the very boring place Oslob. This hotel is extremely expensive for what you get, as I said we stayed for 4 nights and not once did the staff ask us if we needed towels or if we needed our room cleaned or we need help with booking a trip nothing. The staff spoke very little English and when they did you couldn’t understand them. Mid day we decided we would go in the pool but they had workers in who had ripped part of the hotel down and the pool was completely filled with bits of wood, dust and dirt so we couldn’t go in the pool even the next day there was still little bits of stuff in the pool. The food at this place is off the chart expensive! Do not buy food here take a 5-10 minuet walk into the small town they have, there are limited restaurants but you will defo find food at a much lower cost. We were also woken up at 6am due to the hotel dogs barking and banging from hotel staff trying to fix something right outside our window. If you are looking to stay here because of the whale shark then don't. It is quite a 15min drive from here and it is not recommended if you don't drive. Although they offer a shuttle service but it is quite unreasonable for me. A good place to relax and look at the ocean though. Enjoyed our one night stay at sascha's.We completed the whale watching early and arrived at sascha's well before checkin but, they gave us the room anyway.Add the great view and you have a good base for area.Would return to sasacha's if passing through the area again. Excellent. Attentive staff which makes you feel like home. A home by the sea. Imagine owning a house by the sea, that's what it feels like. Note, the lodge is seafront and has a great view of the sea, but it has no beach, its barred by a seawall, you could dip in the pool instead. Rooms were clean really lovely place to chill with a nice view to the ocean, hotel has aircon, wifi and the staff were very helpfull to organise the whale watching which is about 10 min. bike ride. overall a good option when staying overnight in oslob to see the whalesharks. We were thirsty when we arrived and asked for water. The guard on duty said that there are no one to assist us as the pantry or canteen is closed. Even if they are closed, we are just asking for water. Will this hurt them? Hopefully, better treatment to your guests. good place to relax with family. great food. 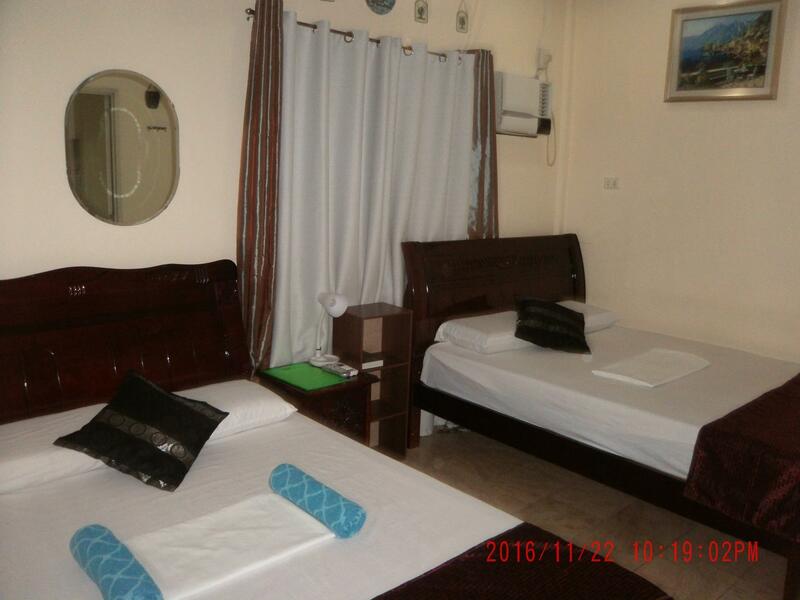 This was my first Agoda booking and we stayed here after our whale shark adventure. There is really nothing extra ordinary about the place because Ive paid less for a nicer beach resort. Pros: The view from their deck is breathtaking and they have rocking chairs where you can hangout. Our room was clean and id give it a high five :) Cons: Pool was smaller than i expected, the food was not good so I would suggest you bring something to munch on if you stay here. I'm not sure if i ever want to come back here but I will recommend this place to someone who just want to enjoy a nice scenery and nothing else. Oh, good for sweethearts maybe. There's a floating cottage where you can prolly set a nice dinner or maybe breakfast. Hope i helped you decide! Good luck! First time to Olsob with my mom and the staff and owner are very accommodating , they will help u and guide u to places to go. Good food,, fresh and flavorful seafood. A place to have your break and relaxs. I will come back and recommend the place with friends. thank you for your positive reviews and good comments God bless..
Value for money. Staff and Management attentiveness. Making guests feel at home and very welcome. Stayed there at two occasions over Christmas and New Year. Both times the stay was better than ever expected. Any and all wishes and requests were complied with beyond expectation. Madam Owner is there to make sure all is well and if there is anything she can do to make stay more pleasant. Overall i would say that its the best for value. Will return there when in the area. worth the price, nice location for oslob/whale shark adventure. My kids love the hotel with pool for kids. 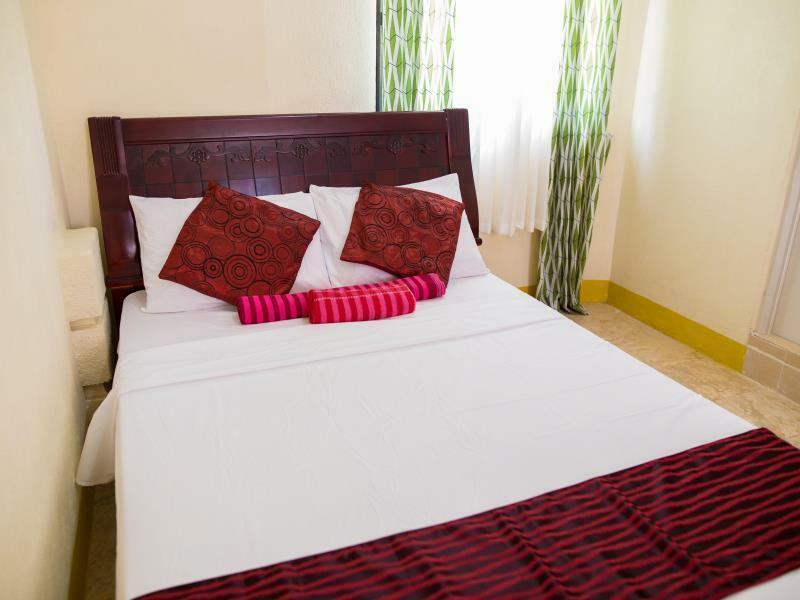 Simple but the rooms are in good condition and staff offer good service. The price and location is great also.